The Finance 202 is a daily newsletter. Want it in your inbox? Sign up here. Investors started Wednesday by flinching at the specter of nuclear conflagration with North Korea. By the market close, they had largely shrugged off the fear, trading as if the threat was as remote as ever. The White House gets some credit for calming the anxiety. A day after President Trump jangled nerves around the globe by pledging to meet North Korean threats with “fire and fury,” his administration pushed a message of de-escalation Wednesday (nonetheless, the president retweeted a comment from Defense Secretary Jim N. Mattis this morning in which Mattis warns North Korea it is "grossly overmatched"...so who knows what today will bring). The S&P 500 Index almost erased losses in the final hour of trading and the CBOE Volatility Index pared an advance as Secretary of State Rex Tillerson signaled military confrontation was not imminent. He was one of several officials in the Trump administration who sought to fine-tune the message on how it will address North Korean threats. Trump’s statement Tuesday that could unleash “fire and fury” against Kim Jong Un’s regime sparked demand for haven assets from the yen to Treasuries. Those trades began reversing late Wednesday as investors grew more confident the situation wouldn’t escalate. 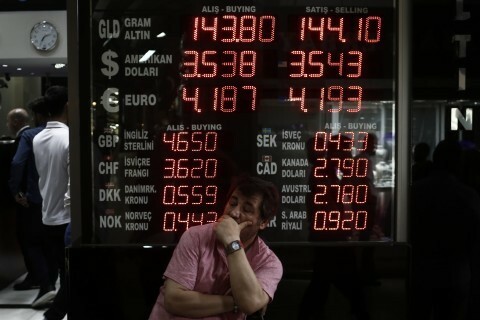 Still, emerging-market shares fell the most since June and gold jumped to an eight-week high Wednesday. The 10-year Treasury yield fell as much as five basis points before trimming that to a single point. The stock market’s relative steadiness — during an episode that compelled the Secretary of State to reassure Americans they should continue sleeping through the night — points to a phenomenon months in the making. The stock market zoomed after the election on expectations that Trump would unleash a new era of growth. He hasn’t. But investors maintained momentum by tuning out Washington dysfunction and focusing instead on strong corporate earnings and other encouraging fundamentals. Now, markets face a different sort of challenge. Policymakers aren’t just threatening to disappoint; they’re poised to actively menace the bull run by manufacturing destabilizing crises. So investors need to find ways to peer through the noise. Vincent Reinhart, the chief economist for Standish Mellon Asset Management, said the revelation Wednesday that Trump’s was riffing when he made his “fire and fury” comment signaled to investors that it was more bluster than official policy. History justifies the attitude. The closest the U.S. ever came to a nuclear confrontation, during the two weeks of the Cuban missile crisis in 1962, the Dow dropped just 1.2 percent — a loss it quickly recovered. That pattern has repeated in equity markets since World War II. Wars and other major geopolitical disruptions beget short-term sell-offs that stocks recoup, generally in a matter of months. The North Korean danger isn't the only thing imperiling an otherwise placid market. Looming in September are the entirely home-grown threats of a government shutdown and a debt default. Politico has a story this morning in which the White House is trying to sell Democrats on lifting longstanding budget caps for domestic spending in exchange for money for its border wall: "Marc Short, the White House’s director of legislative affairs, met with top staffers from both parties on the Senate Appropriations Committee last week to make a hard sell for the proposal, the sources said." See this graph for kind of an amazing concession that the wall would not necessarily be a wall: "Short — who said the border funding would be used for a “double fence” — stressed that the White House is insisting on a down payment for construction this fall. Short also lobbied for a big budget increase for the Pentagon, another priority for Trump." While the debt ceiling showdown may not inspire the same gut fear as a nuclear missile strike, “from our lens, you could see the debt ceiling having a longer effect than some shot across the bow from an unstable dictator acting out,” Brian Belski, chief investment strategist for BMO Capital Markets, tells me. — Then-President Obama impressed on Trump in their first and only meeting last year the gravity of the threat from North Korea he was poised to inherit. Trump's early moves in office reveal he internalized the message. But what he's done with it now that the situation is reaching a crisis pitch isn't likely what Obama had in mind. The Post's David Nakamura and Anne Gearan report: "To a degree that even Obama might not have anticipated, the early warning in the Oval Office last November motivated Trump to elevate North Korea to his chief foreign policy concern — after rarely talking about it during the campaign. Trump’s administration has used diplomacy, economic sanctions and displays of military power in a bid to alter Pyongyang’s calculus over its pursuit of nuclear weapons capable of reaching the continental United States. Yet it is the increasingly bellicose, often contradictory, rhetoric from Trump himself that has marked the sharpest shift in U.S. policy toward North Korea from previous administrations. Having declared an end to the Obama era of 'strategic patience' that focused on isolating Pyongyang, Trump has failed to articulate a clear alternative. 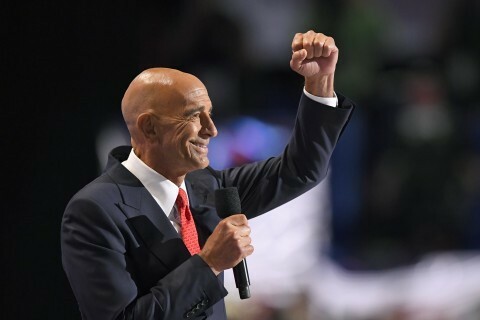 He has vacillated between courting China’s help and giving up on Beijing — and between suggesting he is opening to meeting with North Korean dictator Kim Jong Un and threatening to obliterate his regime." — The Trump administration is imposing an import tax on Chinese aluminum foil, the latest escalation in trading tensions between the world's biggest economies. The Post's Ana Swanson reports: A preliminary decision issued by the Commerce Department on Tuesday evening found that the products were receiving financial assistance from the Chinese government. It specifically levied 'countervailing duties' on four Chinese companies, ranging from an 81 percent import tax on imports from two firms to a 17 percent tax on another. Chinese companies not specifically named face a duty of 22 percent on products they export to the U.S. market. The decision is a routine one, as the United States frequently sets duties on imports it believes are unfairly subsidized. But it takes on more importance now that the Trump administration is ratcheting up pressure on Chinese trade practices, said Chad Bown, a senior fellow at the Peterson Institute for International Economics." — RUSSIA WATCH: FBI agents raided the Alexandria, Va. home of Paul Manafort, Trump's former campaign manager. The predawn operation yielded documents and other information related to special counsel Robert S. Mueller III's probe of Russian meddling in the election. The Post's Carol D. Leonnig, Tom Hamburger and Rosalind S. Helderman scoop: "The raid, which occurred without warning on July 26, signaled an aggressive new approach by special counsel Robert S. Mueller III and his team in dealing with a key figure in the Russia inquiry. Manafort has been under increasing pressure as the Mueller team looked into his personal finances and his professional career as a highly paid foreign political consultant. Using a search warrant, agents appeared the day Manafort was scheduled to testify before the Senate Judiciary Committee and a day after he met voluntarily with Senate Intelligence Committee staff members. The search warrant requested documents related to tax, banking and other matters. People familiar with the search said agents departed the Manafort residence with a trove of material, including binders prepared ahead of Manafort’s congressional testimony." He's a real estate investor and a close friend of President Trump's. — The dollar, once a refuge in tumultuous times, has been steadily losing its sheen this year. The New York Times's Peter Goodman: "On Wednesday, in the hours after President’s Trump’s threat to unleash “fire and fury” on North Korea if it continued to menace the United States, global investors sold the dollar. The same dynamic played out in June, as Saudi Arabia and other Arab nations imposed an embargo on Qatar, delivering a fraught crisis to the oil-rich Persian Gulf. And the dollar dipped in July after President Vladimir V. Putin of Russia expelled 755 American diplomats, ratcheting up tensions between the two nuclear powers. Since the beginning of the year, the dollar has surrendered nearly 8 percent against a basket of major currencies. The dollar remains the dominant instrument for global trade, a role it is unlikely to surrender anytime soon. 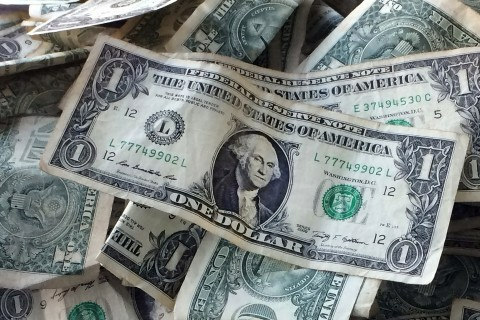 Yet those who trade in currencies see tentative signs that the dollar may be losing some status as markets grapple with the unorthodox actions of the man leading the nation printing the money." — Productivity edged slightly higher in the second quarter but not enough to matter. The Wall Street Journal's Ben Leubsdorf reports: "The lethargic pace of productivity growth seen in recent years could have a critical effect on the future trajectory of wages, prices, overall economic output and government budget balances. Rapid productivity gains, as seen during the information technology-fueled boom of the late 1990s and early 2000s, can boost household incomes, economic growth and government tax receipts. But sluggish productivity gains can slow economic growth and prevent wages from rising much. Following an 'unusually bad' stretch in 2016, “we’re pretty much on track with where we’ve been,” said economist Martin Baily, a senior fellow at the Brookings Institution in Washington." Or at least that’s the expectation of economists who have been wrong-footed by sub-par readings four months in a row. Most economists are counting on a depreciating dollar, rising import prices and a tight job market to generate stronger price pressures across the economy. 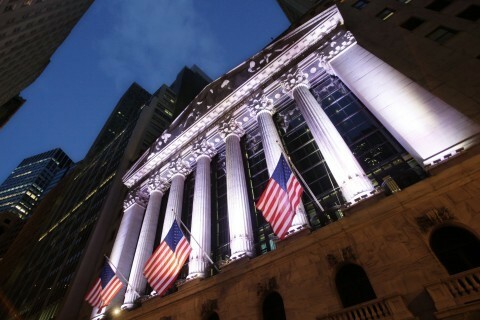 Stocks are modestly lower, while gold, a traditional haven for investors, continues to climb in value. — The alt-right is rallying to the cause of James Damore, the Google engineer fired for penning a 10-page manifesto criticizing the company's progressive values and approach to gender diversity. It's no fluke; rather, the hard-right movement's interest in the episode proceeds from a campaign it has already launched against tech giants. Kevin Roose of the New York Times reports: "For the last several months, far-right activists have mounted an aggressive political campaign against some of Silicon Valley’s biggest players. Extending their attacks beyond social networks like Facebook and Twitter, tech’s typical free-speech battlegrounds, they have accused a long list of companies, including Airbnb, PayPal and Patreon, of censoring right-wing views, and have pledged to expose Silicon Valley for what they say is a pervasive, industrywide liberal bias." 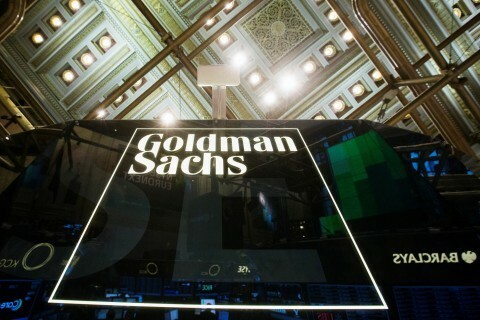 Goldman Sachs Group Inc plans to begin using a "personality test" as part of the hiring process for positions in its banking, trading and finance and risk divisions, a senior Goldman executive said on Wednesday. 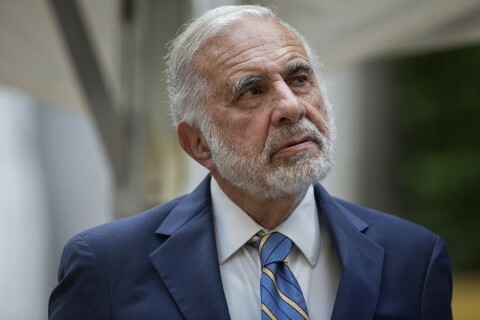 Investors have built up a large short position in investor Carl Icahn’s oil refining company, CVR Energy, in the past three months, according to Reuters data, as evidence mounts that the company’s gamble on the biofuels market is going sour. — The Labor Department is seeking to delay the compliance deadline of the fiduciary rule by 18 months as it seeks to rework the Obama-era mandate. That would push the effective date for the rule to July 1, 2019. The Wall Street Journal's Lisa Beilfuss reports: The fiduciary rule 'is likely here to stay, but its impact could be significantly reduced over the next few years if exemptions from the rule are significantly expanded,' said Jamie Hopkins, a professor at the American College of Financial Services... The first phase of the rule, requiring financial-advice providers to act in retirement savers’ best interest, took effect June 9. The request for a delay would give agency officials more time to conduct their economic-impact review and give industry players more time to weigh in." — Trump is leaning toward nominating an outside candidate to lead the Federal Trade Commission, bypassing the agency's top Republican. Bloomberg's David McLaughlin, Billy House, and Jennifer Jacobs report: "Trump’s leading choice for the post is Washington lawyer Joseph Simons, a partner at the law firm Paul, Weiss, Rifkind, Wharton & Garrison LLP, according to three people familiar with the matter. As FTC chairman, Simons would play a crucial role in the agency’s review of Amazon.com Inc.’s proposed takeover of Whole Foods Market Inc. and its lawsuit against Qualcomm Inc. for allegedly abusing its monopoly in the market for smartphone chips. Simons, who worked at the agency during the George W. Bush administration, is among a handful of candidates under consideration to fill three empty seats on the five-member commission... Trump is expected to make the nomination in early September, the person said, just after the agency’s initial review of Amazon-Whole Foods is set to expire. That review period could be extended." Federal Reserve Bank of New York President William Dudley speaks on wage inequality at 10 a.m.
Center for Responsible Lending holds a panel on Fintech and Civil Rights at the Netroots Nation conference in Atlanta. From the Post's Tome Toles: "Trump and Pruitt find their desire to save the planet runs hot and cold:"